Premium Universal TV Wall Mount Bracket with Extendable Dual Pivot Tilt Arms & Tilt (30kg) + FREE SHIPPING! A great option for small rooms and awkward corners. Dual-pivot arms with vertical tilt adjustment. Small living spaces aren't always a bad thing. I know first-hand that a neat little apartment can be the best thing for singles and couples who need a good location above all else. 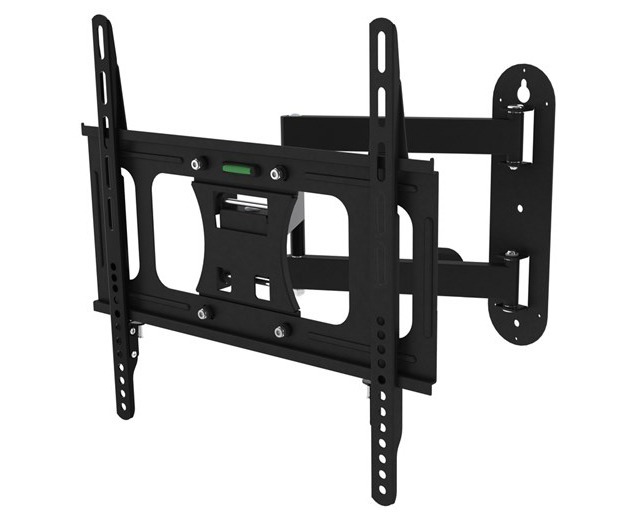 Of course, me being me, I can't do without my creature comforts; and it's the clever gadgets like this Medium fully articulated TV wall mounting bracket designed for most LCD & Plasma TVs from 23" to 55" in size (depending on their weight, with a maximum of 30Kg supported). 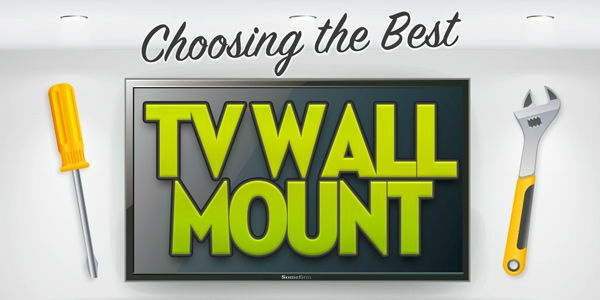 The solid construction and easiely positionable arms of this dual-pivot TV wall bracket makes for easy adjustments and positioning of your TV viewing angle. The reason this bracket is so helpful is the dual-pivot arm that allows you to extend the television out from the wall cal also rotate/swivel it around left and right (up to 90 degrees or until your screen edge touches the wall). This means that from one out-of-the-way placement, you can get easy viewing from the kitchen and the couch - or any two locations that are only an angle adjustment away from line-of-sight. Works equally well in campervans and caravans, too: you can stow it flat for watching inside or angle it out and down for watching from outside! Great for home, retail, office, warehouse, and all other applications. Universal fit for SONY, LG, Panasonic, Samsung and more! Screen Size: 23" to 55"
Recommended for screens 23" to 55"
Can this bracket be used on brick walls. The tv is a Panasonic TX-32LWD500A weight 24kg? Answer: "Yes it certainly can however for masonry and brick wall installations, we usually recommend using Dyna Bolts which can be purchased from most hardware stores. The screws and accessories included with most TV brackets are only designed for general plasterboard / timber installations." Once again, CableChick, Your rapid service is fantastic .. Only wish more online providers were half as good as you.